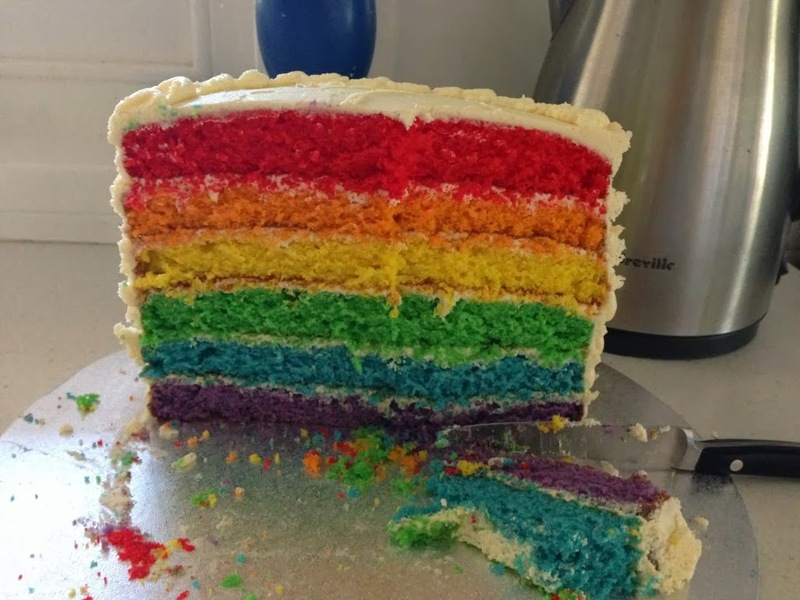 I was recently asked to make a birthday cake for the children of someone I work with..... 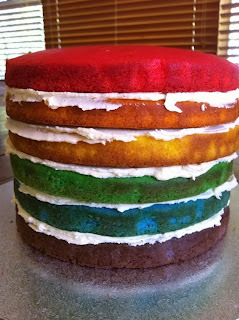 I was really pleased when they wanted a rainbow cake as I've been seeing lots of them around blog-land and was keen to have a go at one myself. just piped buttercream and some bunting with the children's names on it. You can find the printable bunting template here. I was so happy with how all the colours turned out. 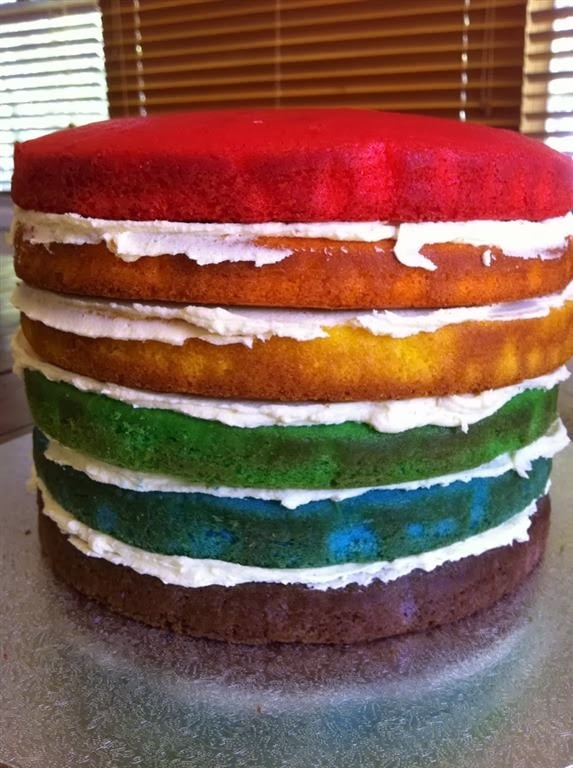 I just love those rainbow cakes. Your one looks fantastic.